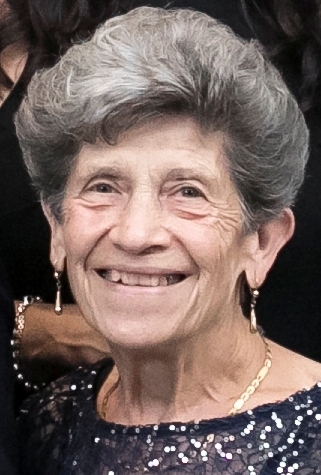 With heavy hearts we announce the passing of Rosaria on Saturday, January 6, 2018; at the age of 82. She is now reunited with her late husband Joseph Tarasco who she was married to for 57 years until his passing in 2012. Beloved mother to Sammy (Tasha), Bruna (Antonio), Frank (Pam) and Emma (Mark). Cherished nonna to Joseph, Stephen (Nikki), Emily-Rose (Matt), Danielle, Michael (Samantha), Romney (Dave), Sarah (Logan), Andrew, Sydney, Hannah, Charles, Maya, Sophia and great bisnonna to Daniel. Dear sister to Concetta, Rita and Michele (Anna). Rosaria was a hard working and devoted wife, mother and nonna who could often be found in the kitchen enjoying her passion for cooking. She always made those around her feel incredibly welcomed, loved and valued. She will be dearly missed but lovingly remembered by her family and friends. Visitation will take place at Ward Funeral Home (4671 Highway #7) on Tuesday from 2-4 & 6-9 p.m. A Mass of Christian Burial will take place on Wednesday, January 10, 2018 at 10:30 a.m. at St. Benedict Catholic Church (2194 Kipling Avenue). Entombment to follow at Queen of Heaven Cemetery. In lieu of flowers, donations to the Heart & Stroke Foundation would be appreciated.